I’m so glad I spent an extra week with this game! Thanks to Batman Arkham for hosting the trailer. I had such a good time playing as Batgirl, I might even do the AR segments, I won’t get enough for her trophy but I’ll have a good time with it. There are a couple segments where Batgirl and Robin team up and we get the option to perform duo takedowns, which is fun but then you automatically switch players and I was making a point of switching back to Batgirl immediately. During the proper game, I would do the same thing, switching from Batman to Robin, Nightwing, or Catwoman, as it is nice to take a break from the Bat. Another relief with this game was that I was able to get the two missable trophies rather early in the process. I got Ambush as soon as I could take down thugs with a scare effect and I was making a point of taking down all thugs with hacking for the Weird War Tales, prior to even getting to the Ghost Ship, so that felt good. I needed a guide to locate three of the Jack-in-the-Boxes as those were really well hidden. I liked how the teeth moved so I was able to see them from a distance and the balloons were proudly displayed. The only mini game that gave me any trouble was the strength test as I wasn’t dive bombing well enough to beat it as I was either missing the giant button or not getting enough speed for it. After a handful of tries, I finally got it done. 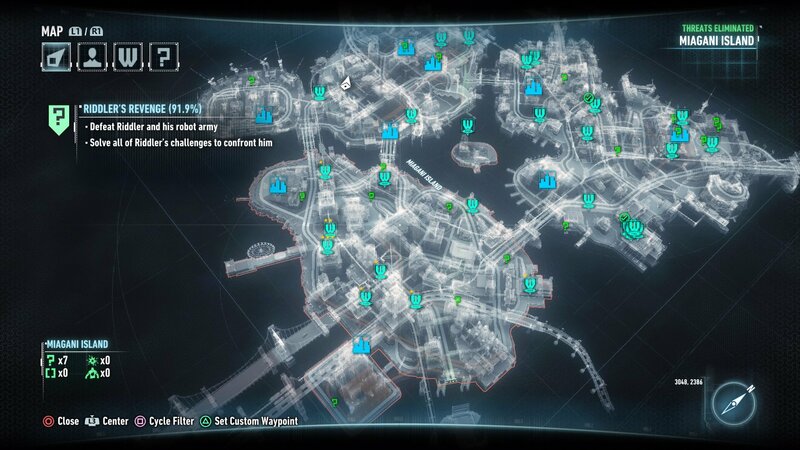 I haven’t made any progress on the 23 Batman AR missions but I made a slaying at the Riddler trophies! I’m down to the final 25! Which means I’ve gotten 91.9% of the trophies! It took some doing to get a picture of the two I’m missing in the Arkham Knight’s HQ. But the number of trophies I’m missing being 25 makes it a nice number for me to stop at. At one point, I was pretty proud of how many I got in Founders, thinking I was done when I realized I hadn’t gone back to Miagani and even attempted those. I have all of the riddles solved, all breakable items, and saved all of the thugs with bombs in their brains. The ones I’m missing are puzzles that even with the assistance of videos, I’m not fast enough to complete, or there are races that I can’t beat the time for. 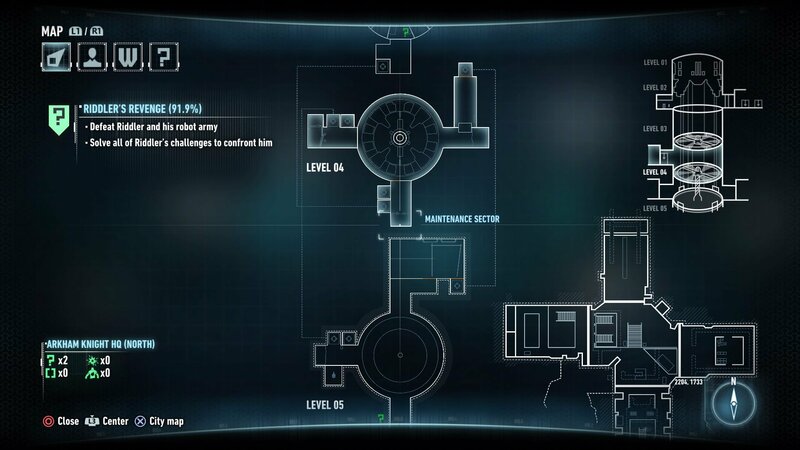 I was having a pretty fun time searching for Riddler informants to get more information regarding the Stagg Airships and then I was reminded there were items in the Arkham Knight’s HQ and an underground base as well. I have three Harley Quinn audio tapes and an Arkham Knight audio tape. I should check again to see if I unlocked any more since calling it good. I’m pretty proud of myself for going back, it was bugging me when I wrote the previous article and leaving so much undone. I bought some upgrades and I was able to eliminate the watchtowers, I left the one with the four minigun grunts for last and that felt so satisfying taking the last one down. 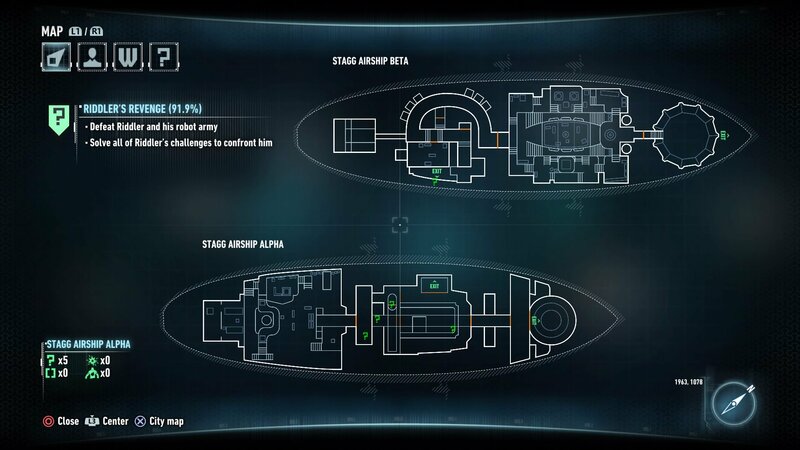 Once I found I could take out a medic and minigun grunt with a hackable device, that sped that section up. I still have some upgrades to get, but I don’t know which ones I want, so I’ll probably concentrate on Batmobile upgrades as I know the sections I’m not looking forward to the most are all Batmobile and Arkham Knight related. The landmines was what I concentrated on first and those tank battles took a while but I got them all taken care of and I located the few road blocks I was missing and take care of those as well. I saw that aerial drones could be destroyed with the Batmobile so that saved on time having to grapple to tall buildings and hope I landed on all of them. It took some doing to do it with the Batmobiles as you have to sort of aim below the drone but if you stick with it, you’ll knock them all out. Some drones hover near tall buildings so it wasn’t that hard to reach them. 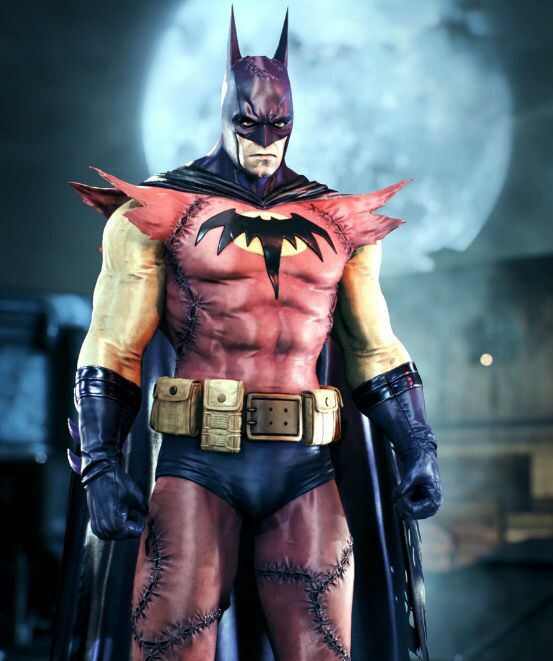 Dark Allegiances, taking out the Arkham Knight’s replacement, which is what the other three were leading up too. I attempted what I thought were eight different jumps but I never went further than 100 meters or I only attempted six, as I thought I tried ten of the 16 but clearly I’m not doing it right. Since I’m going to attempt to get 23 stars in AR Challenges, I’ll attempt to smash 10 militia transport vehicles during the Seek and Destroy AR Challenge. I took the time to destroy 20 moving cars without using the Batmobile, The Real Deal, which took way longer than I hoped but not as long as I feared. There are a few street corners that gets lots of traffic. My secret was pressing square as soon as I thought I was within range which worked more times than not. When I first attempted it, I was relying on the icon to appear but then I almost missed a few waiting for the icon so I just attempted it. The hardest part is when the cars are driving faster than I’m gliding and there’s no way to catch up to them by that point. The best location is to be perched on a street light and just prey on any and all cars that drive under you. Since I can’t get to Riddler, I can’t get the official Knightfall Protocol started, I sat through what felt like a 15 minute sequence but the trophy never popped. I’m going to attempt New Game Plus but only focusing on the main quest and burning through as much of it as possible. I’m imagining the first real hurdle will be the tank battle in front of Ace Chemicals with the Arkham Knight in his helicopter, as that was the first real obstacle I faced in the game, and the first upgrades I had to purchase. I’m really hoping the Knightmare difficulty isn’t the same as Crushing difficulty in an Uncharted game. The quick saving mechanic could be a little more forgiving in Arkham Knight. I’ve been sort of missing Uncharted 3 and Burly Men at Sea, but I kept thinking of typing this article and that encouraged me to keep trying. 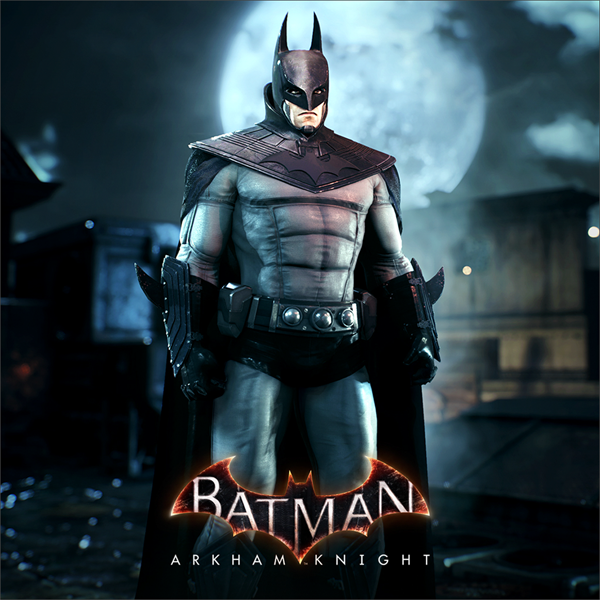 I might give this game another week to try the AR missions with both Batman and Batgirl, and I want to do those in the normal game as I can only imagine how much harder those will be in New Game Plus. Turns out, I do have access to Nightwing, Robin, and Catwoman in certain AR missions so that’s pretty nice. I might try the Catwoman ones too, just because she has a different fighting style as well. I’m mostly looking for new experiences before reliving the same experience but facing tougher obstacles. I was having such a great time, I’m still thinking of getting the Season Pass to get everything but there is talk of me getting the Spider-Man game and I’ll want a PSN card for the additional DLC in that game as those additional DLC packs come with additional costumes and I’ll want all of those when I play. Shame the DLC costumes are so tied with the DLC achievements so you can’t play with them earlier but that’s what New Game Plus is all about. Walker Dennis has been home sick the last couple days so I’ve had a chance to play during naps. I’ve gotten past the part with Harley Quinn at Panessa Studios. I’ve been only focusing on the main mission and not doing any of the side missions. Which I like the idea of Batman just being hyper focus, though he does ask for updates from Alfred on other crimes. So far it hasn’t been bad. The only real obstacles I’ve faced has been large group fights where I haven’t paid the best attention and allowed a few wild punches to occur. The Arkham Knight fight outside of Ace Chemicals wasn’t as bad as I thought it was going to be, I credit my ability to do well with the tank battles and having better aim against rockets as I didn’t even lose that fight. Large boss fights and the Cobra Tank fights seem to be my downfall. Those Cobra Tanks, I wish it took half as long to lock in on their weak spot, and I can’t tell if it takes a little longer than in my Normal playthrough or if I have just forgotten how long it takes. I had to fight five of them before I could make Founders save to use the Batmobile. So now I’m really not looking forward to the Cloudburst fight with five additional Cobra Tanks and the Arkham Knight’s tank, but that has been one of the three fights I have been dreading. The other problem with that fight is that, where it takes place in the game, you have to complete it as you can’t just escape and do side missions. The other two being the Arkham Knight chase sequence and the following fight with him and his goons. I was only the menu screen and was noticing the WBPlay icon and figured I’ll do whatever little work it was to unlock the Anime Batman costume and the Zurr En Arrah costumes. The Anime costume came easily and I had to join the WBPlay forum to get the Zurr En Arrah costume, which I keep wanting to type as Zenn. I don’t care for how broken the Anime ears look, like there is a clear bend in the ears that isn’t great. I thought Walker Dennis was going to get a bigger kick out of the Zurr En Arrah costume but he didn’t even notice it. It feels good having two additional costumes though. I also got one more Riddler trophy in the second Stagg Airship, which I thought I was going to be able too. It was the one that is under the floor where we have to move the crates about. For some reason, I can’t move the crates in that same room in my post game but I was hoping to be able to do it during New Game Plus and it totally worked. 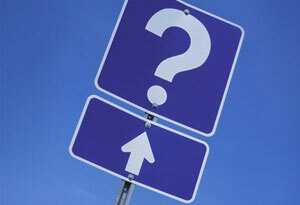 Walker Dennis is now finding question marks everywhere, like road signs or whenever he sees a question written out and wants to point out the Riddler has been up to no good again. I took him to Hallmark to buy my lovely wife a tenth anniversary card (for November 29) and we looked at all of the Hallmark Christmas Ornaments and he wanted pretty much all of them. 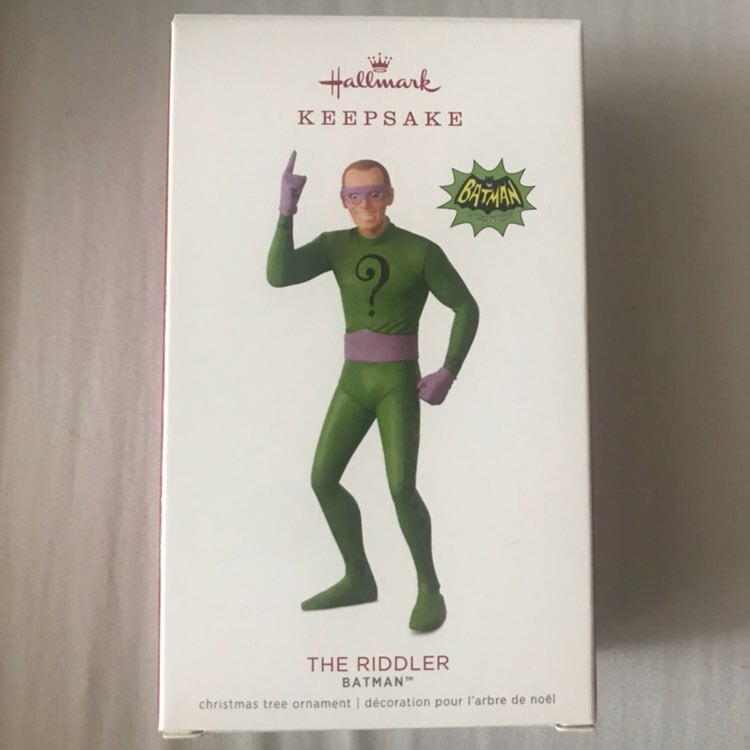 I’ll be all for a Frank Gorshin Riddler being on our tree. We also rewatched Lego Batman and that movie holds up like crazy and I just love how much Bat-mythos are introduced to such a young audience. Shame Riddler doesn’t show up more in it. Another shame is that Batman The Animated Series isn’t available to watch without having to pay $1.99 an episode. I imagine those will be available through the DC Streaming Channel and that might make that worth the investment. We’re going through a real Batman phase right now. I should have showed him Mark of the Phantasm as we still own that on DVD, such a great film! Still no progress on the AR Challenges but I figure I’ll hit a roadblock during New Game Plus and that’s when I’ll pick those up again. I’ve also looked into buying a replica of a Riddler trophy but Amazon didn’t have anything besides action figures. I thought that’ll be a fun thing to own.